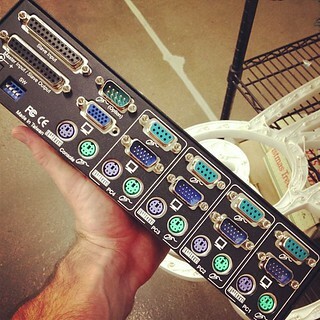 You need a tech rider. Better yet, you need a tech rider with diagrams, specific dimensions, and clear expectations. In early June I was traveling with my partner, Lauren Breunig, to an aerial acrobatics festival in Denver, Colorado. Lauren is an incredibly beautiful and talented aerialist. One of the apparatuses that she performs on is what she calls “sliding trapeze.” This is essentially a trapeze bar with fabric loops instead of ropes. 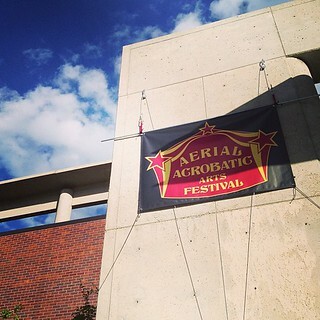 Earlier this year Lauren was invited to perform at the Aerial Acrobatics Arts Festival of Denver as a performer in their “innovative” category. As an aerialist Lauren has already in many venues across the country, both on her invented apparatus as well as on more traditional circus equipment. In all of these cases she’s had to submit information about her apparatus, clearance requirements, and possible safety concerns. So when it came time to answer some questions about rigging for the festival it seemed like old hat. One of the many things that Lauren had to submit was her height requirements for her bar provided that a truss was being suspended somewhere between 27 and 29 feet from the floor of the stage. In her case the height of the truss less critical than the height for her bar. In her case, the minimum distance from the floor to the rigging points is 15.5 feet. At this height her apparatus is high enough off of the ground that she can safely perform all of her choreography. This is also the lower limit of a height where she can jump to her bar unaided. Where this gets tricky is how one makes up the difference between the required rigging points and the height of the truss. The festival initially indicated that they would drop steel cable to make up the differences between required heights and the height of the truss, making it seems as though the performers only needed to worry about bringing their apparatus. When we dropped off Lauren’s equipment we discovered that the realities of the rigging were slightly different than what the email correspondence had indicated would be the case. The truss had been set at a height of 27 feet, but the festival was no longer planning on dropping any cables for performers. Additionally they told us that they only had limited access to span sets and other equipment for making up the height difference. Luckily Lauren had packed some additional span sets, and had thought through some solutions that used some webbing (easily available from REI) to make up any discrepancies that might come up. This also, unfortunately, made her second guess the specs she had sent to the festival originally, and left her wondering if she had accurately determined the correct heights for her apparatus. Having rigged and re-rigged this apparatus in numerous venues, Lauren had a strong sense of how her equipment worked with ceilings less than 20 feet. This also meant that she had didn’t have any fixed heights, and had instead lots of numbers bouncing around her head – one venue was rigged at 15.5 feet, but the ceiling was really at 17 feet; another the beams were at 22 or 23 feet, and the apparatus had been rigged at heights between 15.5 and 17 feet; and so on and so on. Additionally she typically rigs her own equipment, and has is therefore able to make specific adjustments based on what she’s seeing and feeling in a given space. For the festival, this wasn’t a possibility. So, after the miscommunication about the rigging situation and suddenly feeling insecure about the measurements she sent ahead we suddenly found ourselves talking through memories of other venues and trying to determine what height she actually needed. We started by first talking through previous rigged situations – how high were the beams, how long is the apparatus, how far off the ground was she. Part of the challenge here was that this particular apparatus hangs at two different lengths because the fabric ropes stretch. This means that without a load it’s at a different distance from the floor than with a load. While this isn’t a huge difference, it’s enough to prevent her from being able to jump to her bar if it’s rigged too high or to put her in potential danger of smashing her feet if it’s rigged too low. While there were several things we knew, it was difficult to arrive at a hard and fast number with so many variables that were unknown or a range. Ultimately what helped the most was sitting down and drawing out some of the distances and heights. While this was far from perfect, it did finally give us some reference points to point to rather than just broadly talk through. A diagram goes a long way to providing a concrete representation of what you’re talking about, and it’s worth remembering the real value in this process. It meant that were were suddenly able to talk about things that we knew, only remembered, or guessed. This processes, however, still didn’t solve all of the problems Lauren was facing. We still had some questions about the wiggle room in our half-remembered figures, and making sure that she would be rigged at a height that was both safe and visually impressive. Finally, after an hour of drawing, talking, and drawing again we got to a place where we were reasonably confident about how she might proceed the next day. In thinking about this process, I realized that we could have made our lives a lot easier if we had done a little more homework before coming to the festival. A complete drawing of the distances, apparatus, performer, rigging range, and artist-provided equipment would have made a lot of this easier. While the rigging process went without a hitch once she was in the theater, being able to send a drawing of what her apparatus looked like and how it needed to be rigged would have but as at ease and ensured that all parties were on the same page. A picture codifies concepts that might otherwise be difficult to communicate, and in our case this would have been a huge help. What does this have to do with projectors? Let’s face it, tech riders are not the most exciting part of the production world. That said, by failing to specify what you need and what you are planning on providing it’s easy to suddenly be in a compromising position. While the consequences are different for an aerialist vs. a projectionist, the resulting slow-down in the tech process, or the need to reconfigure some portion of performance are very real concerns. The closer you are to a process or installation, the more difficult it becomes to really see all of the moving parts. Our exposure to any complicated process creates blind spots in the areas that we’ve automated, set-up once, or take for granted simply because they seem factual and straightforward. These are the privileges, and pitfalls, of working with the same equipment or apparatus for extended periods of time – we become blind to our assumptions about our process. Truly, this is the only way to work with a complicated system. At some point, some portion of the process becomes automated in our minds or in our practice in order to facilitate higher order problem solving. Once my projectors are hung and focused, I don’t think about the lensing when I’m trying to solve a programming problem. While this may well be the case when you’re on your home turf, it’s another thing entirely to think about setting up shop somewhere new. When thinking about a new venue, it becomes imperative to look at your process with eyes divorced from your regular practice, and to instead think about how someone with unfamiliar eyes might look at your work. That isn’t to say that those eyes don’t have any experience, just that they’re fresh to your system / apparatus. In this way it might be useful to think of the tech rider as a kind of pre-flight checklist. Pilots have long known that there are simply too many things to remember when looking over a plane before take-off. Instead, they rely on check-lists to ensure that everything gets examined. Even experienced pilots rely on these checklists, and even obvious items get added to the list. Similarly, it’s not enough to just “know” your equipment. While intuition can be very useful, it’s also desperately important to have documentation of your actual specifications – what are the actual components of your machine, what are your software version numbers, how much power do you need, etc. There are always invisible parts of our equipment that are easy to take for granted, and it’s these elements that are truly important to think about when you’re setting up in a new venue. Total certainty may well be a pipe-dream, but it isn’t impractical to take a few additional steps to ensure that you’re ready to tackle any problems that may arise. The real magic of this comes down to packing your bags. A solid rider, and an inventory of your system will cover most of your bases but good packing is going to save you. Finding room for that extra roll of gaff tape, or that extra power strip, or that USB mouse may mean that it takes you longer or that you travel one bag heavier but it will also mean a saved trip once you’re at the theatre. Including an inventory in your bags may seem like a pain, but it also means that you have a quick reference to know what you brought with you. It also means that when you’re in the heat of strike you know exactly what goes where. 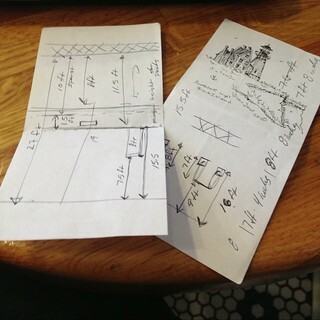 Diagrams and lists may not be the sexiest part of the work we do, but they do mean saved time and fewer headaches. At the end of the day, a few saved hours may mean a few more precious hours of sleep, or better yet a chance to grab a drink after a long day. This entry was posted in Observation, Theory and tagged circus, performance, production, tech rider, travel on June 11, 2013 by raganmd.